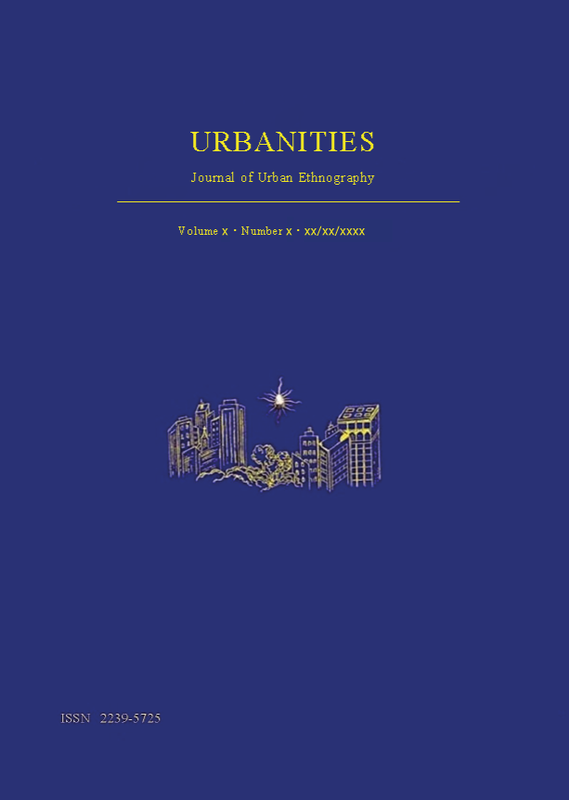 Urbanities is a Journal of Urban Ethnography. It is committed to advancing ethnographically-based analysis and theoretical development. It also attempts to support professional interests in the academic community by disseminating research findings and illuminating their relevance to human problems. Editorial bodies 1. The editors and editorial board of the journal seek to publish articles that add to, integrate, synthesize and interpret knowledge in anthropology, sociology and the social sciences and the humanities more generally. 2. The editors and editorial board pursue high quality and originality of texts and their correctitude with relation to the academia, the general public and explored actors. They control legitimate and transparent peer review process and equal treatment in regard to all of authors. Articles received for review are treated as confidential documents. Author 1. The author is fully responsible for high research quality, transparency and completeness of his/her texts. Authors should not only avoid causing direct and immediate harm but also should weigh carefully the potential consequences and inadvertent impacts of their work. Most serious harms that authors should seek to avoid by their texts are harm to dignity and to bodily and material well-being, especially when texts concern vulnerable populations. 2. In his/her text the author should openly refer to the purpose, methods and outcomes of the published work. S/he is obliged to openly inform about co-workers, collaborators and participants in the project. The text should also refer to sponsors of the presented research. 3. In his/her article the author is obliged to refer to all relevant resources of his/her knowledge and, if they have been published, to quote them following norms and conventions of the source. 4. Urbanities publishes almost exclusively original texts which have never been published before. Thus the journal requests such texts. If the author has already published a part of the text before its submission to Urbanities, he/she should inform the editor and should indicate it in the submitted article. IV. Solving disputable ethical problems Problematic and disputable cases which are not referred to in the above statement are re-assessed following the ethical statements about copyright, permission and libel outlined in the Guidelines for Contributors and the ethical warranties as stated in the Publication Agreement and Assignment of Copyright of Urbanities.